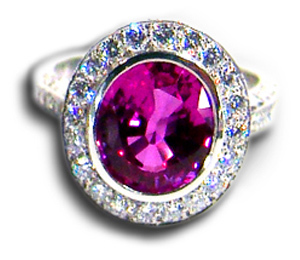 This intense Natural Pink Sapphire of 4.05 cts is the finest we have ever seen. A handmade platinum ring set with small intense pink sapphires on each side and surround by fine white diamonds. This ring is in a class by it self.